In this time Internet System revolutionized such a way that it has become most essential part of our life. No part of the modern society or no corner of the world is beyond the reach of Internet. So as education system is the part of our society, how can it be left away from the net of Internet? 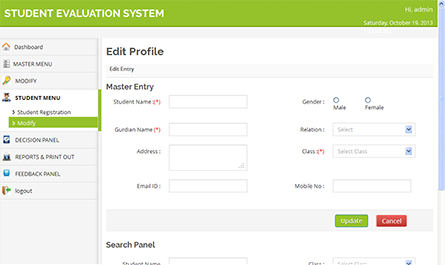 Modern Education system also adapted Internet to evaluate performance of the students. Internet can be utilized many ways to enhance students’ performance. 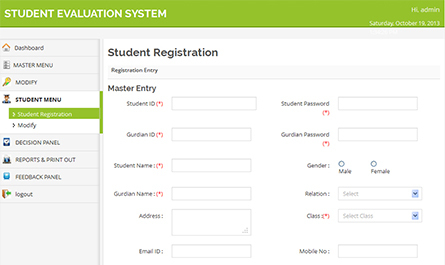 Such as Online Education, Online Exam, Online Tutorial etc. Smart phone and Tabs help to boost up this trend now. 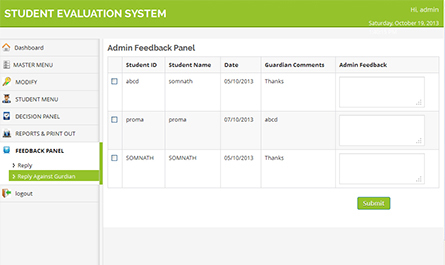 Our online Student Evaluation Systems is developed to evaluate students’ performances. 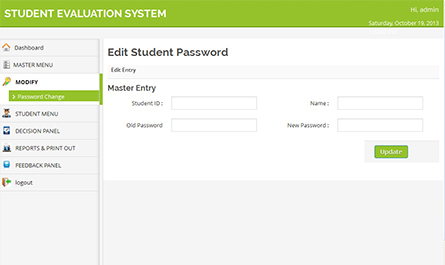 It is fully customized software that can be used by both teachers and students of any educational institution. 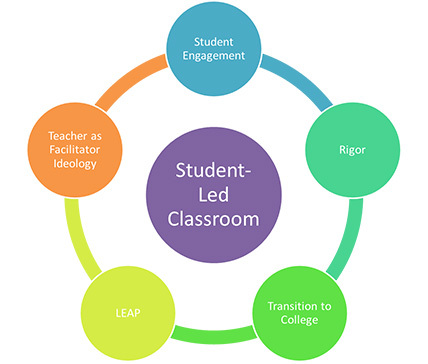 To assist individual instructors in improving their own teaching. To assist Student to evaluate their performance also. BC Software Services Pvt. 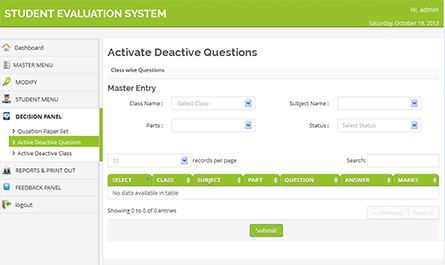 Ltd. develops Online Student Evaluation System with cutting-edge technology, which is fully customized, Easy to use and compatible with all Educational Institute. Teacher can set class-wise exam question. Student can give re-exam with the remaining questions within remaining time if there any problem in internet or power cut in the middle of the exam. 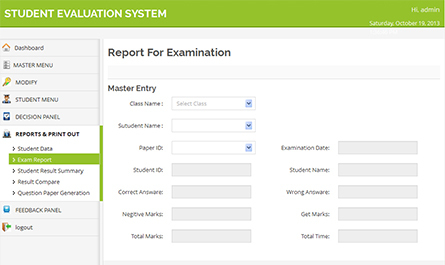 Result of the exam will be appeared promptly as soon as the exam complete. Student, teacher and guardian can see it. 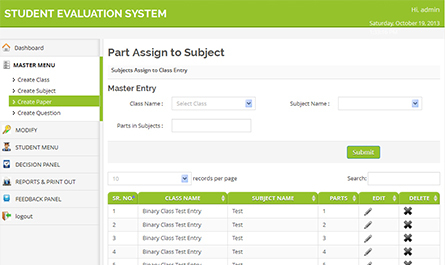 In this part admin can create class and subject. 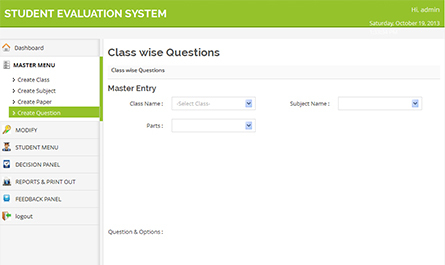 Moreover admin can insert class wise question, negative mark, and can edit the question. In this part you can see only reports now. But this part fully depends on customer’s need. 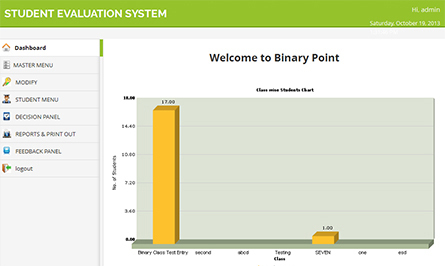 Customer can be provided as many reports as he/she need. In this part student can see his/her exam list date-wise. In this part guardian of the student can see the report of the student’s exam. He / She can instant know the performance his/her child.